Legos have long been a fun and educational toy for kids off all ages. They can be used to build simple block structures or elaborate cityscapes. They are great for strengthening planning skills and fostering creativity. 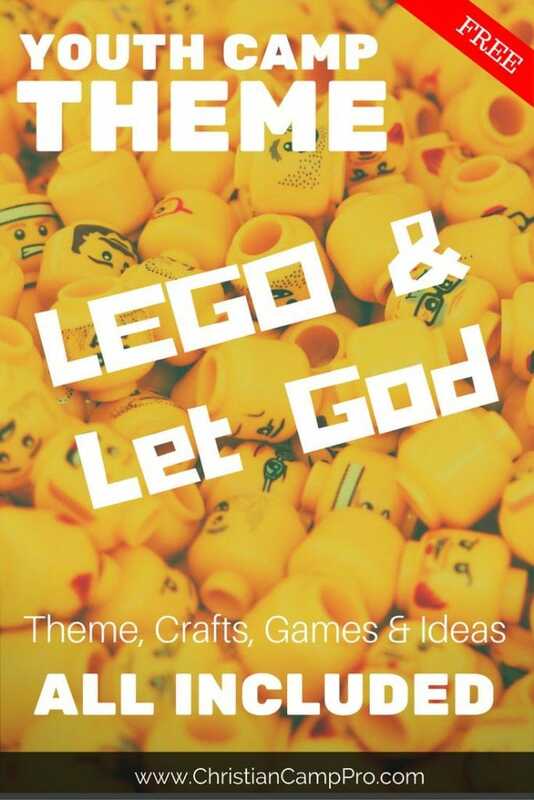 Using a Lego theme for a youth retreat can be a great way to teach kids about trusting God while allowing them to creatively plan and build with the versatile blocks. 5 Trust in the Lord with all your heart, and do not rely on your own understanding; 6 think about Him in all your ways, and He will guide you on the right paths. It can sometimes be hard for young people to know who to trust. Friends, teachers, and even parents can let them down because they are only human. This scripture can teach young people that God can always be trusted to show them the right thing to do. He will never let them down! 24 “Therefore, everyone who hears these words of Mine and acts on them will be like a sensible man who built his house on the rock. The shifting sands of society can be a tricky place for young people to navigate. This scripture spoken by Jesus in Matthew can be used to help young people understand that when they put their trust in God and follow his Word, they can find sure footing and a strong foundation on which to build their lives. 10 The name of the Lord is a fortified tower; the righteous run to it and are safe. Life can be difficult and extremely challenging sometimes for young people. Many look for places of safety and security among friends or relatives or authority figures. This verse from Proverbs states that God is a place of refuge for anyone who seeks Him. Young people can find security and rest in God in all aspects of their lives. This simple craft is a great way to start off your Lego-themed retreat. Supply attendees with plenty of Lego blocks and the easy-to-follow instructions for this craft. Encourage them to be creative with the colors and overall look of their spinners in order to get them most out of this craft. Buy Cheap Legos in BULK! While this craft requires a bit more skill and supervision, it can still be a fun craft for attendees. Any kind of picture could be used: photos, magazine clippings, or even coloring pages. The key is getting the pictures properly lined up on the blocks in order to view the pictures when assembled. These fun friendship bracelets make wonderful retreat souvenirs. They are simple to make and the creative possibilities are endless. Plus, there is the added bonus of this craft fostering new friendships among attendees. The bracelets can be traded and worn as a reminder of the fun they had and the new friends they made! From picking up Lego blocks with chopsticks to trying to build the tallest Lego tower, these games are sure to get attendees excited. Divide your attendees into teams and let them compete in each minute-long challenge. The first team to finish the challenges wins! A relay race is a great way for young people to expend some pent-up energy while having fun. For this game you only need an assortment of loose Lego blocks and some plastic spoons. Divide your retreat group into teams and let them race with their Lego-laden spoons to the finish. If they drop any Legos along the way, they have to go back and start over! The first team to get all their members over the finish line wins. This fun activity could be a great getting-to-know-you game to use at the beginning of your Lego retreat. The challenges can be performed by team groups or individuals. Give out the challenge cards to each team or individual along with plenty of Lego blocks. Encourage your attendees to work together to complete each challenge. This activity can run the duration of your retreat. Set up a jar filled with Lego blocks (be sure to count them beforehand!). Encourage attendees to guess how many Lego blocks are in the jar by putting their guesses in writing. At the end of the retreat announce who guessed the number closest to the actual number and award a small prize to the winner. Young people today need a strong foundation and a place of refuge in today’s often frightening world. Having a Lego-themed youth retreat can be a wonderful way to show them that they can find a true, trustworthy friend in God. Using the scriptures and activities in this retreat theme, young people can come to understand that God is not just our Father, but He is also a strong place of safety and security. Special thanks to Faholo Conference Center for making this article possible.